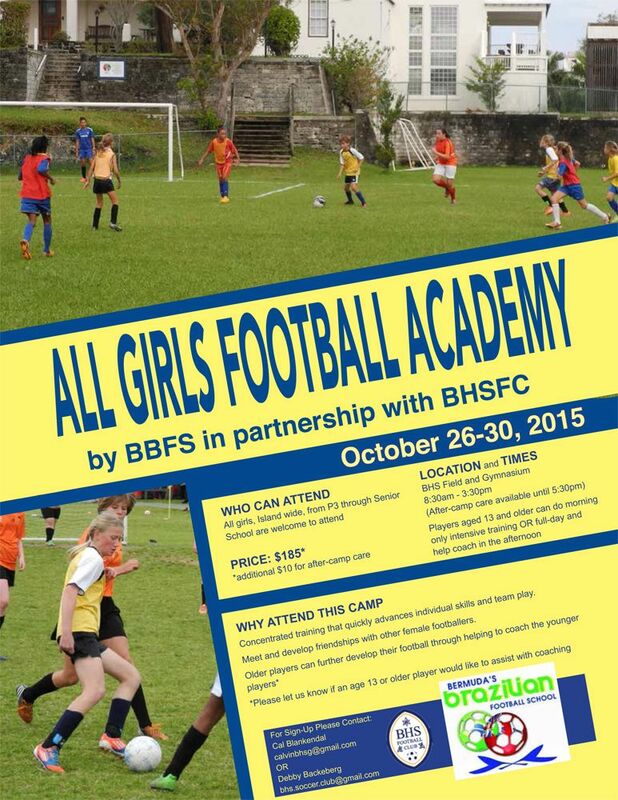 The camp, a collaborative effort between Bermuda’s Brazilian Football School [BBFS] and the Bermuda High School For Girls Football Club [BHS FC] is open to all girls in Primary 3 and up, with age groups for Under 8 through Under 14. For more information, contact Cal Blankendal at calvinbhsg@gmail.com or Debby Backeberg at bhs.soccer.club@gmail.com. I love the fact its titled with “Football” and not “Soccer”. Well done to those involved with the flyer. There are those that seem to follow every little thing the USA does when the rest of the world calls it Football still.